Die Hard at the White House? 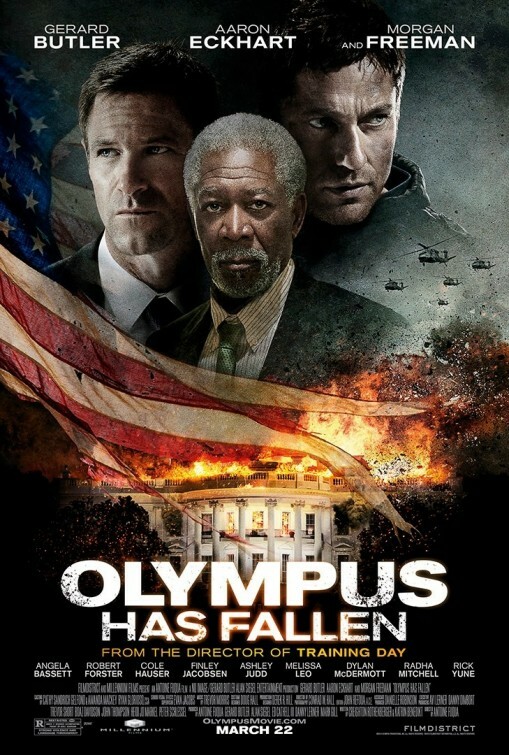 The White House and other Washington monuments get blow’d up real good in the new film Olympus Has Fallen — good news for anyone who wasn’t satisfied by that kind of sight in movies like Independence Day or The Day After Tomorrow. The film, directed by Antoine Fuqua (Training Day), is big and loud, with lots of macho action and plenty of ’splosions to please the mostly male audience that’ll likely seek this one out. 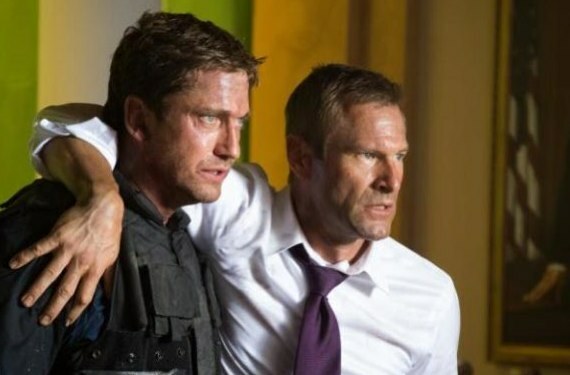 Gerard Butler stars as Mike Banning, a former Secret Service agent who finds himself in the right place at the right time when North Korean terrorists take the President (Aaron Eckhart) hostage in the White House’s underground bunker. Through it all, Banning stays in touch by phone with national security bigwigs played by Angela Bassett and Robert Forster, not to mention Morgan Freeman’s Speaker of the House character, who is asked to step in as acting President. Of course, Banning and those remote experts don’t always see eye to eye, but the former agent’s resourcefulness comes through more than a few times to prove them wrong and save the day. If this plot sounds more than a little like the setup for another Die Hard movie, then you’re on the same page I was. Watching Olympus, I got the feeling Bruce Willis had turned this one down (opting instead to go up against some Russian bad guys) but the filmmakers kept the plot largely intact. They even threw in a few homages for good measure. Anyway, there’s not much to this movie other than action scenes and rah-rah patriotism. Like any film of this type, there’s a bit of implausibility — the fact that “Whitehouse” is misspelled multiple times is something I couldn’t believe — but the effects are good enough, the acting is fine, and the bad guys get their comeuppance in grand style. Yippee ki-yay! If action is your only goal, Olympus will satisfy. This isn’t a Die Hard movie, but it’s almost as fun as those movies used to be (like, say, around Die Hard with a Vengeance). Check your brain at the door, and just enjoy the ride. I’m giving Olympus Has Fallen a B.